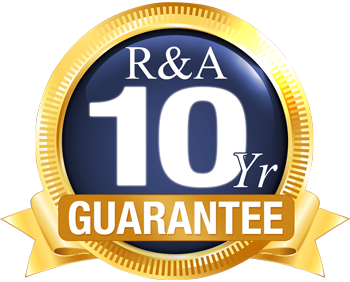 R&A Windows is a local family run business that has been established in Sandhurst for over 20 years, providing only the highest performing products and friendly service. Our business has been built up solely by recommendations from our happy and satisfied customers. We at R&A Windows believe that honesty and trust has been a key factor to our success. The quality of service is constantly confirmed through our excellent reputation and Check-a-Trade score of 9.9/10. Moreover, every installation is accompanied by a separate Insurance Backed Guarantee with the Plastic Windows Federation and a FENSA Certificate, giving you peace-of-mind every step of the way. It is important to us that all our clients have an easy experience from quotation through to installation and any aftercare issues managed professionally. Our 'no pressure' Sales Team are more than happy to offer advice and/or an honest quotation with no obligation to buy. Our staff members are not commission based, so you are guaranteed to experience no hard sell, on the spot 'discounts' or overestimated prices. All of our fitters are employed by us to ensure that installations are completed to the highest standard possible. We also make sure that they are friendly, hard-working and trustworthy so you feel comfortable while they are in your home.